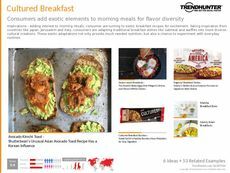 Find Better Ideas, Faster ® with a custom savory breakfast trend report, our PRO Dashboard and 80+ categories of premium trend reports. 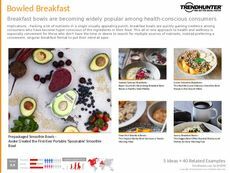 The Savory Breakfast Trend Report is a food-focused resource that covers the rising patterns of superfood and flavor-packed morning meals. 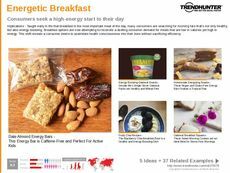 Capturing the attention of foodies and health-conscious consumers, sugary cereals and breakfasts are put aside, while more gourmet-style meals are increasing. Breakfast burritos, hearty oatmeal dishes and breakfast bowls provide delicious, filling meals to start the day that are full of nutrition and protein. 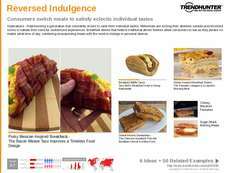 This is a useful report for restaurants specializing in brunch and breakfast. 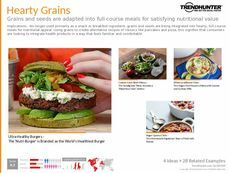 It's also great for chefs, menu curators and restaurant marketers who want to draw in a specific target audience. 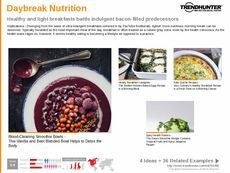 Nutritionists and dietitians can also gain insights as well as cookbook authors and recipe bloggers. 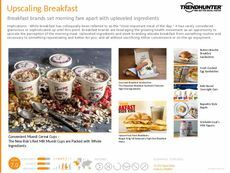 The Savory Breakfast Trend Report showcases the shift from cereals and small breakfasts to treating the morning meal as a ritual, great for food brands and restaurants to capitalize on.